A Permanent Memorial That Lives On. Our deepest condolences if you need to buy a biodegradable urn for the ashes of someone close that has died, our thoughts go out to you at this difficult time. Our Limbo Geos Biodegradable Urn and tree sapling will provide a unique and permanent living memorial for you to mark your relationship and return them back to the earth. 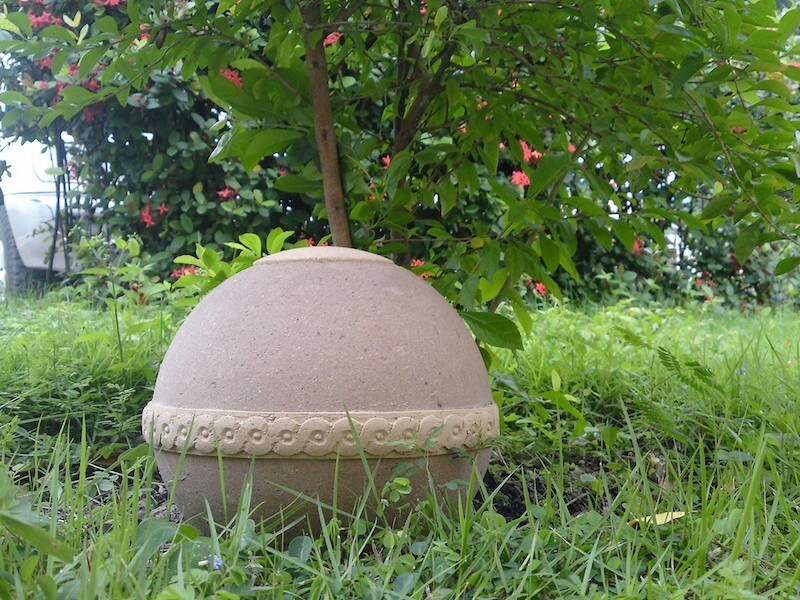 Simply add the ashes to the sphere shaped urn and close the lid, next find a meaningful spot and dig a hole for the tree sapling and bury the urn either directly beneath the roots or adjacent to them. Fill in the hole with well-compacted soil and water well and over a short period of time, the urn completely biodegrades and the tree roots combine with the ashes giving you a living memorial that is literally being supported by your loved one. If you wanted to take the memorial with you or keep it close, we suggest burying in a large container, larger the better. This means less chance of it drying out in summer, getting blown over and becoming starved of nutrients (you should feed containerised trees annually with a generic tree feed when they are older). The potential issue of salts and high alkalinity found in ashes and the impact on a young tree's roots has been addressed and over time the ashes become closer to PH neutral and the salts become beneficial to the tree. 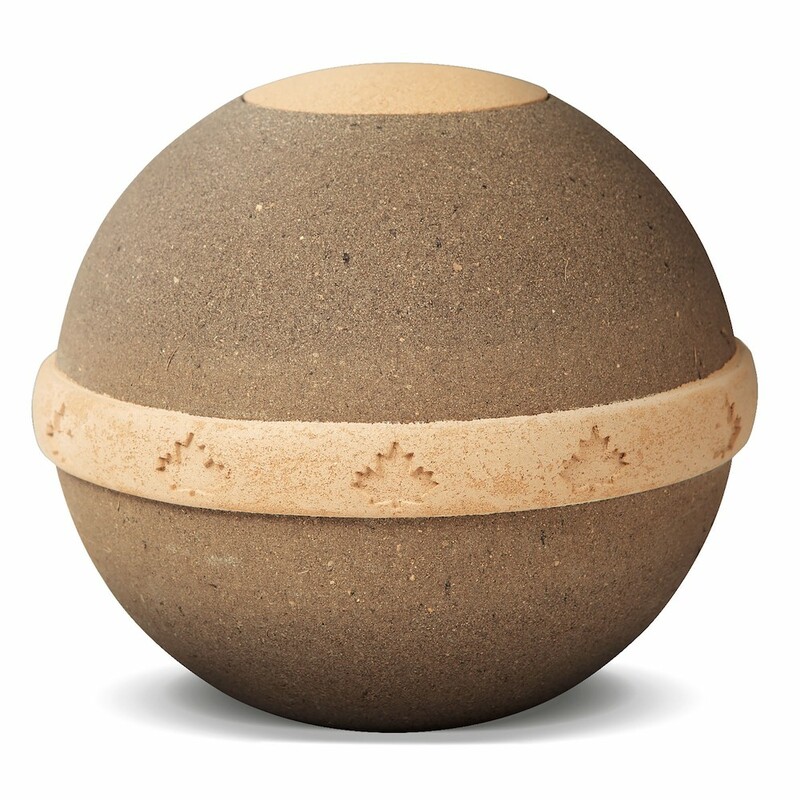 The Limbo Geos biodegradable Urn leaves no trace to the human eye, leaving you a discreet and highly personal living memorial that gives something special back to the environment. To choose from our current stock list go to Trees In Volume Section or Hedging Trees and let us know at checkout in the "Please add any other comments here" box which species you would like. Choose a tree with special meaning, or reflects their character, or we can choose one for you and maybe fate will have provided the meaning? Please note, if you generalise e.g. write just "Oak", there are several to choose from and one even comes with red leaves which could be very different to most peoples idea of an Oak tree. If you want a specific species, please let us know at checkout. Below is a list of trees linked with values, characteristics and symbolism from history. Click on the tree species to find out more. The tree saplings and Limbo Geos Urn come from separate locations so please expect different delivery dates of up to 10 working days. You will receive 12 x 1-2 year old saplings. We do this for several reasons. 1)	The younger the tree, the higher the failure rate. At this age, it can be as high as 15% under normal conditions (we very rarely see this) This ensures you have more than one shot at a successful tree. 2)	With such a broad choice of trees, you can pick the one that stands out e.g. tallest, bushiest, quirky shape etc. 3) You can give the remaining trees to family and friends, maybe even Bonsai them. 4)	If for any reason your original tree fails, you have replacements until it is fully established. You need to pot the trees up when you receive them to do this. 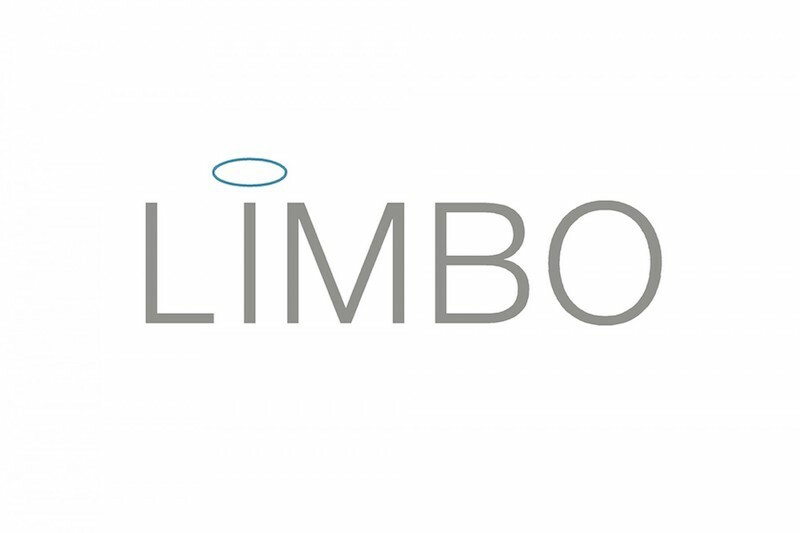 To use the LIMBO GEOS Urn take out the water-soluble bag from the urn. Cut the strap and keep it to close the bag. Place the open bag inside the urn and place the ashes inside. Close the bag with the strap. 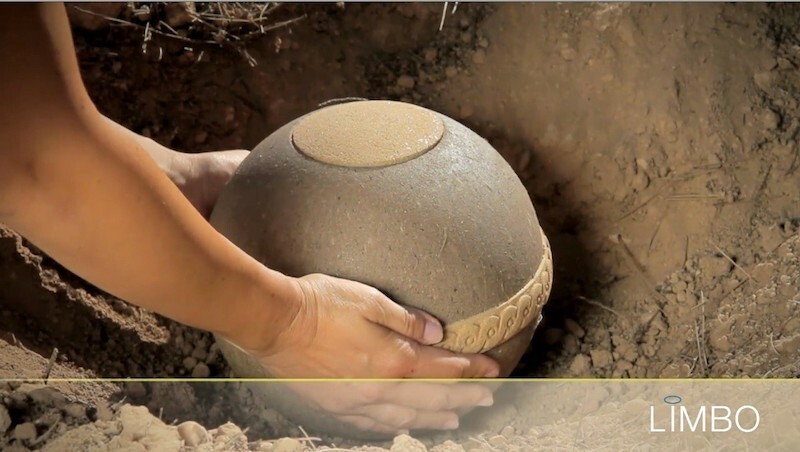 Place the urn into the ground, directly underneath the sapling roots, or next to them (make sure to dig a deeper hole to accommodate the urn if you want it to be directly beneath) cover with soil and compress around the tree roots, making it level with the ground and water. Visit regularly and water and feed the tree. Below are the meanings for the trees listed above. The ancient Celts believed the Alder tree symbolised giving and nurturing, due to the alder tree providing nutrients to the soil, much more than any other tree. The alder can successfully restore poor soil back to a healthy state, whilst similarly, when the leaves decompose in water it provides nutrients to the aquatic animals living there. The Alder tree roots were often noted as providing shelter for many fish, and legend also mentions the Alder tree being used to create wind instruments like whistles and flutes. The ancient Celts attributed the values of protection and growth to the towering Ash tree. This due to the tremendous heights and girth the Ash can grow to some over 200ft tall, owing to its remarkable root system. Both Native American tribes and ancient Celts used the Ash tree in their rituals, also they wove baskets from the splints, and the Ash bark and roots were often used as medicinal herbs. The Ash tree was also considered to be the cradle of life and guardian of infants and babies and was often used medicinally for childhood illnesses. Often used within Druid rituals, the Aspen tree was imbued with the belief it could predict future endeavours and outcome of conflicts. The towering Aspen tree with its dancing leaves was often interpreted as a connection between heaven and earth and this sense of connectedness is often its most dominant characteristic. Due to the smooth grain of the Beech tree, it was often used as a writing surface explaining its connection to the values of wisdom and knowledge. The Beech tree is often a replacement for Oak in the making of furniture given its strength and fine grain. Ancient people associated the Birch tree with the symbol of the sun. The solar link is due to the Druids using Birch kindling as a perfect igniter for their fires, as the wood will burn even when damp. Highly adaptable and hardy the Birch can withstand and thrive in areas other trees cannot and has repopulated great swathes of areas previously destroyed by forest fire, tenaciously taking root where no other tree could. Often given a bad rap, the Blackthorn tree for the ancient Celts symbolised the darker side of the year. Understandable then that the ancient Irish Celts perceived the Blackthorn as strife due to its sharp thorns that caused septic wounds and its short and squat stature. It was also said that witches would use the thorny Blackthorn as a wand to curse people. In balance however the Blackthorn, on a more positive note, will provide sloes - always sweeter after the first frost - from which Gin can be made. And far from being all negative, the long thorns of the Blackthorn tree provided protection for the now rare Nightingale bird, that found safety among its thorns. Native American tradition states that the Cedar tree is often burnt in sweat lodge rituals, whilst the bark and leaves were used in medicine bundles and amulets. The Cedar was also used in incense as a purifying herb and is associated with prayer, protection against disease, dreams and purification. For Native Americans, the Cherry tree symbolised new awakenings and compassion, whereas the Japanese people perceived the Cherry tree to symbolise the beauty but also the fragility and brevity of life. For Buddhists, the Cherry tree is a sacred tree that symbolises both fertility and femininity. The values of longevity and invigoration have long been attributed to the Chestnut tree by early Christians. It was also believed that the Chestnut, when eaten medicinally could prolong life. The Celtic Druids would make handles and staffs from the wood of the Chestnut tree, believing that by touching the wood they would be able to share the characteristics of the tree of longevity and invigoration. Many ancient peoples including, Greek, Egyptian and Roman all practised some form of tree decoration, predating our own Christmas rituals and even Christmas itself. For an evergreen tree like the Norway spruce, it is not difficult to see where the associations of vitality and magic come from due to its ability to hold on to its foliage all through the year. Trees often have the symbolism of the cycle of life attributed to them, however, the ancient Celts believed the evergreen nature of the Spruce signified hardiness and everlasting life as it stood out amongst other trees that lost their foliage. Additionally, the pine cone of the Spruce would be used to honour their dead as they would be placed on the burial place as a funerary marker. Ancient Celts would often burn the wood of a Crab Apple tree during fertility rights and festivals leading to an association with marriage and love. It is said that if you throw the pips of a Crab Apple into a fire while saying the name of your loved one, the pips should explode if the love is true. The Crab Apple tree is also mentioned in a number of Shakespeare plays, imbuing the Crab Apple with a literary connection. The Elm tree has some dark associations with the underworld, shadows and darkness, due to it being used in ancient times to mark off areas of countryside to not enter. In Celtic mythology, The elves that were thought to guard burial mounds had a special affinity for the elm tree, but it also symbolises wisdom, intuition and strength. As a native tree to Britain, it can grow to some of the largest and tallest in the country. The Elm tree is sacred to Saturn, the Roman god of agriculture and therefore has associations with the values of fertility and cultivation. For the Aboriginal people of Australia, the Eucalyptus is a sacred tree that represents the underworld, Earth and Heaven. Burning the Eucalyptus leaf is said to purify the air of negative energy, whilst the foliage can have a narcotic effect, symbolising sloth like characteristics. In Victorian times when plants and trees had significant cultural meaning, the pink & white Acacia flowers were given to someone who had elegance. Because of the evergreen nature of the False Acacia tree, the Freemasons used it to symbolise the immortality of the human soul. For many cultures around the world, the Acacia tree symbolises renewal and fortitude and purity. The Fir tree to most people is the tree they bring into their home to decorate as their Christmas tree and early Christians decorated the Fir tree with apples to symbolise Adam & Eve and original sin, and candles to demonstrate the light of Christ on the world. The ancient Druids held the Fir tree in high regard as it was one of the nine sacred trees only used for their Sabbat fire ceremonies. Because of the straight and narrowness of the Fir tree growth, it symbolised truth and strength, whilst in Pagan lore, it represented stamina and endurance to survive the winter months, a time when the evil spirits were at their strongest. The Fir trees symbolise death and rebirth and the cyclical nature of life for many cultures, including the Scandinavian and Norse traditions who also decorate their Fir trees around the time of the winter solstice. The Hawthorn tree is a contradiction in that it symbolises male energy whilst also is historically associated with fertility and the female goddesses. The original maypoles were constructed from Hawthorn wood and its flowers were said to help prayers reach heaven, whilst also being used in spells for fertility and happiness and marriage celebrations. This duality of the Hawthorn was renowned in ancient cultures as a symbol of balance and opposites and as such was seen to contain great power and came to represent love and relationships. Ancient Celts were said to be inspired by the twisting and curling branches of the Hazel tree, influencing their imagination and fantasies. On Palm Sunday in the UK, branches of the Hazel tree were bought indoors and kept alive in water, as a protection from thunder and lightning. Hazel trees have often had an affinity with water and Hazel branches are flexible enough to be used in the ancient art of divining. Queen Victoria was such a fan of the Hemlocks timber that she requested its name was changed to Tsuga albertiana, in honour of her husband, Albert. The change was short-lived, however, reverting back to Tsuga Heterophylla a while after. In ancient North American tradition, female warriors used Hemlock branches to form headdresses to symbolise fertility and femininity in ceremonial dances. Pagans attributed sacred meaning to the Hemlock tree of protection and healing. The ancient Celts believed Holly to be a symbol of good luck and as it was said to repel lightning strikes, and as such was planted around the home for protection. The prickly leaves of the Holly tree contribute to the symbolism of protection and vigilance. It was often seen as very bad luck to cut down a whole Holly tree and villagers would leave the Holly tree to grow tall in hedgerows as it was believed to inhibit the journey of witches again Holly is seen as a protector. The hard white tight grained wood of the Holly tree was often used to make chess pieces and tool handles, but more often for horse whips for couches and carts. The Hornbeam tree has both male and female catkins on the same tree and is renowned for having very hard timber. The word Horn means hard and Beam means tree in old English. A hedge of Hornbeam will keep its leaves all year round and is the perfect protection and shelter for birds and small mammals. The Juniper tree s wood is most often used for burning, not because it produces heat but because of the aromatic scent it provides, this meant it was often used for ritualistic purification of Celtish temples and places of worship in ancient times. In ancient Syria, the Juniper tree was seen as a symbol of fertility, whilst similarly, the Juniper tree was said to have hidden the infant Jesus and his parents from King Herrod's soldiers, on their journey to Egypt. The sacred Larch tree is one of only a few conifers which sheds its needles in the winter. In Siberian mythology it takes the place of the Ash as their most sacred tree, the wood used to rim the edges of their ceremonial drums, or when burnt the smoke was said to purify and ward off evil spirits. Leylandii is a cross between two conifers that derive from different parts of America. The two conifers are the fast-growing Monterey Cypress (Cupressus macrocarpa) and the hardy Nootka Cypress which together provide the two most dominant features of the Leylandii. The distinctive pyramid-like shape of the tree seem to point to the heavens and as a result, symbolise immortality and hope. The Cypress tree also has connections to grief and mourning and used in funeral ceremonies in many cultures across the world. The heart shaped leaf of the Lime tree is a symbol of love and fidelity, and should not be confused with the citrus tree. Often referred to as a Linden tree the pollen collected by bees from this tree makes the most delicious, sweetest honey. The planting of a Lime tree was often thought to repel bad luck and bad spirits and during WW2 the Lime blossom flowers were used to make a calming tea. In Slavic mythology, the Lime tree was considered to be sacred. There are many Linden trees in Slovenia, and the oldest one is believed to be over 700 years old. In ancient times, decisions on community matters were often decided and negotiated under a Linden tree, as a meeting place for the villagers. The canopy of the Linden tree was also a place to celebrate and hold festivals and important social events. Since ancient times the Maple tree has been a symbol of strength and endurance, and are striking in the colour spectrum of their leaves. Maple trees are often grown as an ornamental tree but it is most widely used in the ancient art of bonsai trees. The Rowan's mystical roots go back to classical times. A legend from Greek mythology tells of how the goddess of youth, Hebe, gave ambrosia to the gods from her magical cup. When, carelessly she dropped the cup, allowing the demons to take it. The gods sent an eagle to save the cup and the ensuing fight caused the eagle to drop feather and drops of blood, which when fell to earth where said to become the Rowan tree. It is believed that the shape of the leaves is that of feathers whilst the berries are the eagle's drops of red blood. In Norse mythology, the Rowan tree was believed to be from which the first woman was made and was said to have saved the life of Thor by bending over the fast moving river which threatened to sweep him away. In the British Isles popular mythology about the Rowan tree says that it protects against witchcraft and enchantment, this may be due to the five pointed pentagram on each berry of the Rowan, whilst the deep red of the berries was deemed to be the most protective colour. The Rowan's wood is strong and resilient, making excellent walking sticks, and is suitable for carving cartwheels and tool handles. Druids used the bark and berries to dye the garments black that were worn during Lunar ceremonies, and the bark was also used in the tanning process. Rowan twigs were used for divining, particularly for metals. Many cultures throughout the British Isles often would bend a Rowan branch into a cross and wear it within their clothes to ward off evil spirits, adding to the symbolism of the Rowan or Mountain Ash tree being a protector of all living things. The ancient Romans thought Oak trees attracted lightening (Proven my modern tests) and as a result thought the Oak tree contained the spirit of the sky god, Jupiter. Jupiters wife, Juno, who was the goddess of marriage, provides a reason that the Oak is associated with fidelity and marriage. Socrates believed the Oak to be an oracle tree and similarly the Druids would eat the acorn in preparation for channelling prophecies. The towering strength and massive growth of the Oak tree were honoured by the ancient Celts as they perceived it to be a symbol of endurance, and the Druids believed that eating the leaves of the Oak tree would renew strength and give the power to heal. One of the worlds most popular trees the Pine is held in high regard by many cultures, a sacred tree to many tribes due to its ability to withstand the winter and keep its foliage and beauty in drought or flood. The Pine tree symbolises strength and resilience, but also peace as warring tribes buried weapons amongst its roots and therefore it became known as a tree of peace. The Pine is also used for medicinal purposes, crafts made from its wood and used in recipes, but for the western culture, we often associate the Pine tree most often with Christmas and perhaps furniture construction. For Korean people, the Pine has a special significance that symbolises longevity and good virtue, and it is held in deep reverence and prayed to for prosperity and good health, and when a baby is born Pine branches are left on the doorstep to congratulate the family on the Childs birth. The Poplar tree is a spectacularly tall tree, due to their strong root system and this symbol of strength meant it was often chosen to be depicted on family crests as a metaphor for the families strength, or victory in battle. In ancient Greek mythology, the branches of a Poplar tree were used as a crown by Hercules whilst leading Cerberus out of the gates of Hades during his 12 labours. According to legend, the poplar tree leaf dark colour is due to being singed by the fires of Hades. The ancient Pagans celebrating the winter solstice were the original people to bring branches of spruce decorated with candlelight, into their dwellings to celebrate the returning of the light when the darkest winter months were over. A well known tradition continued today within the western culture when we decorate our Christmas trees in December. Our Christmas trees in modern times are usually the Spruce tree, an evergreen tree that signifies resilience and strength. These characteristics were favoured above all others by the Greek goddess Artemis, as the spruce was deemed as constant and eternal. The Walnut tree symbolises fertility due to its ability to grow copious amounts of nuts in any one season. The wood from a Walnut tree is very precious in that it is used for fine cabinet making whilst early Christians would use the flesh around the walnut to dye fabric, it was said that Jesus coat was dyed from the walnuts flesh as they grew in plentiful supply around the sea of Galilee. The Walnut trees botanical name - Juglans - derives from the Roman mythology of Jupiter who was said to have eaten walnuts whilst on earth, therefore the Walnut was known as the Jovis glans meaning the glans of Jupiter. The Whitebeam tree is so scarce in the wild that little to no symbolism is associated with it, however, the fine grained, hardwood from the Whitebeam tree is so strong that it is used for fine joinery and wood turning, but also beams and cogs for machinery. The berries of the Whitebeam tree are known as chess apples in England and can be eaten when almost rotten. The Willow tree stands firm and resilient and bends and moves with the wind, this unbreakable flexibility was symbolic to ancient people to represent adaptability and strength, as it can thrive in areas other trees would not survive. With its green foliage, it represented nature and fertility as it is able to reproduce itself from a single branch that falls on the ground. In ancient Greek mythology the goddess of the moon, Hecate, connected the power of water and the moon to the Willow which is able to grow in damp wet conditions, whilst in ancient China, the willow came to symbolise the renewal of life and immortality. This versatile tree has been used in the making of musical instruments, mainly the harp, but also used to make baskets, lobster pots and beehives. The Willow tree is also connected to grief and mourning, from a Christian perspective, and mentioned in the Bible alongside a story of the mourning Hebrew people. Sometimes used in homoeopathic tinctures the berries and the young shoots of the Yew tree can help with a variety of ailments. Also, the wood of the Yew was often used in furniture making due to its hard and close grained texture. However, its greatest historical note comes from its use in the medieval construction of the English longbow, used to devastating effect throughout the 100-year war. The Yew tree is strongly associated with death and resurrection throughout the Christian faith, especially as palms at Easter time and the tree itself is hard to find growing outside of the grounds of a church. No other tree has such a deep relationship with religion over the centuries as Yew trees have been found on the sites of some of the earliest churches. Due to the Yew tree qualities of longevity and regeneration (drooping branches of the Yew tree can root themselves in the earth and form new tree shoots) the Yew came to symbolise death and resurrection in Celtic culture. The connection to death may have been due to the fatal toxicity of the tree's needles, immortalised many years later by Shakespeare in the poisonous brew concocted by Macbeth.